Nemat Ullah, one of the Khan's grandsons brings the herd back. 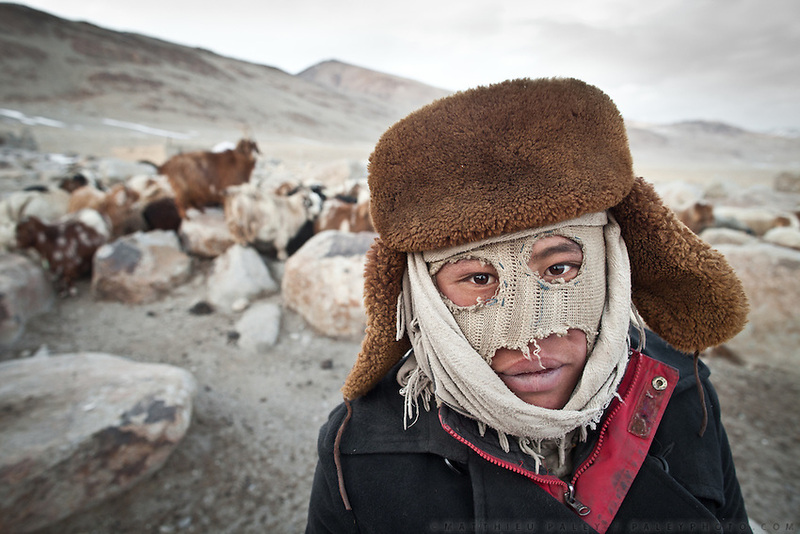 Being a shepherd on the Bam-e Dunia (meaning ?Roof of the world? - the term historically used to describe this region) is probably the hardest job in the Afghan Pamir, an environment at the very cusp of human survivability..At the Qyzyl Qorum camp. It is the camp of the now deceased Khan (Abdul Rashid Khan, died in December 2009), and headed by the self proclaimed young Haji Roshan Khan (his son). Opium addicted Haji Roshan was never officially stated Khan and is therefore not accepted as leader by the entire Kyrgyz community. Near the Afghan-China border...Trekking through the high altitude plateau of the Little Pamir mountains, where the Afghan Kyrgyz community live all year, on the borders of China, Tajikistan and Pakistan.